APC mocks Saraki over loss at PDP presidential primary, asks senators to reject him – Royal Times of Nigeria. The All Progressives Congress, APC, has mocked Senate President Bukola Saraki over his loss at the recently held presidential primaries of the Peoples Democratic Party, PDP.The party in a statement on Tuesday by its publicity secretary, YekiniNabena, said Saraki’s loss shows PDP delegates are fed up with his political style. 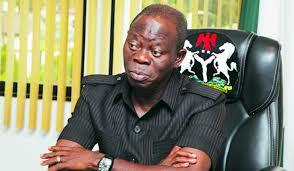 He also called on the senators to reject Saraki as their leader. The APC describes Saraki’s loss at the PDP’s primaries as a befitting end to the ambition of a greedy, untrustworthy and double-dealing politician.Saraki, who recently defected to the PDP from the APC contested the party’s presidential ticket but came third with 317 votes, behind Aminu Tambuwal with 693 votes and Atiku Abubakar’s 1532 votes. 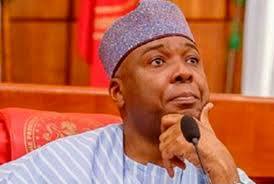 The ruling party has consistently called on MrSaraki to resign as senate president since his defection but the former Kwara State governor has dismissed such calls. The APC described Sarakias “A Rolling Stone That Gathers No Moss” and asked him to vacate the senate presidency honourably, noting that he cannot continue to preside over the APC-dominated Senate as a member of the minority PDP.